Did you know you can get more cash back with an Ebates gift card? If you choose the Paypal option you get the balance in your account. If you choose the Ebates gift card you can get a percent bonus! Normally I get my Ebates cash back as a Paypal payment. This time I got an email asking if I would like an Ebates gift card instead. I noticed I could get a 15% bonus on a JC Penney gift card. This made more sense to me since I shop so much at JC Penney…and will continue to do so in the future. I really would have preferred a Walmart gift card but there was no bonus for that one. 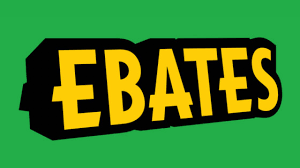 How do you get your Ebates cash back? Do you get the Ebates gift card? Do you do some other form of redemption? Sound off in the comments below!